Opposition leader Adrian Delia on Friday called for the immediate resignation of the Prime Minister's chief of staff Keith Schembri and Minister Konrad Mizzi following a report exposing the ownership of the once-secret offshore company 17 Black. A probe by Times of Malta and Reuters has revealed how local criminal investigators have been handed an intelligence report naming Electrogas power station director and businessman Yorgen Fenech as the owner of the company. 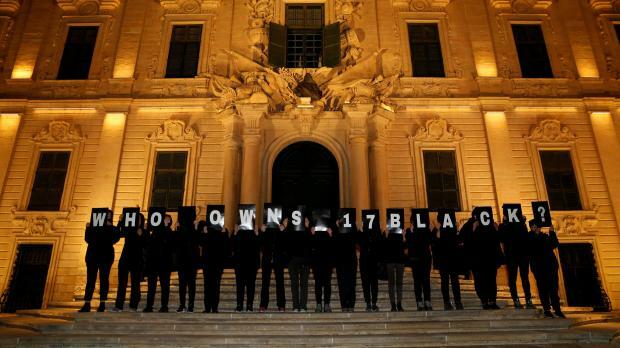 17 Black had been named as the target client of similar companies owned by Dr Mizzi and Mr Schembri. Addressing a press conference, Dr Delia said on Friday evening that if the two did not resign immediately - as he felt would happen in any other democratic country, then Prime Minister Joseph Muscat would have no choice but to ask them to step down himself. This, he said, was surely putting jobs at risk in key pillars of the island’s economy and also putting of foreign investors from setting up shop in Malta. Asked what the he would do if no action was taken against Dr Mizzi and Mr Schembri, Dr Delia said the Opposition would not remain silent. He recounted how the Nationalist Party had presented motions in Parliament and even taken the matter to court in the past. Asked meanwhile, how he felt about what appeared to be murky ties between Malta’s business community and senior politicians, Dr Delia said he his party was and would always remain in favour of legitimate business operations. He was more concerned, he said, with the actions of those who should not be in business, than those who were. In a statement, the PL noted that Dr Delia had, in his press conference, said - following questions by its media arm One News - that he would not take the Times of Malta and Reuters reports "as gospel". Dr Delia also said when questioned that he was not claiming that there had been any bribery. 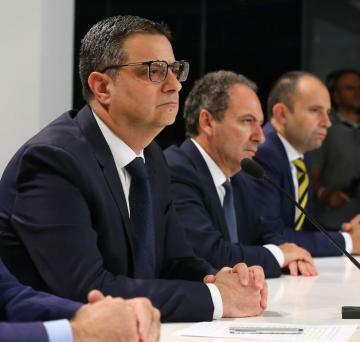 "It is therefore inexplicable that Adrian Delia would repeat this old line about resignations when he himself seems to be saying that what was reported in the media is simply an allegation," the party said.